YouTube is rolling out a new feature for those creators who have more than 10,000 subscribers on their channels. It seems that the new update is similar to the Stories feature on Instagram but there are several significant differences between the two, nevertheless. The major change YouTube has bought in its feature is that the creators can keep their Stories for up to seven days on mobile devices. Additionally, viewing will be available for both – subscribers and non-subscribers. The Stories will appear in YouTube’s “Up Next” sidebar beside a video. The creators can also use the same feature to interact with their fans by responding to their queries, comments, and feedback. "Stories will have the fun creation tools that you know and love. You can add text, music, filters, YouTubey stickers, and more to make your story uniquely you! To create a story, just open the YouTube mobile app, tap on the video camera icon, and select Create Story. ", explained Todd Sherman, Product Lead for YouTube Stories, in a blog post. 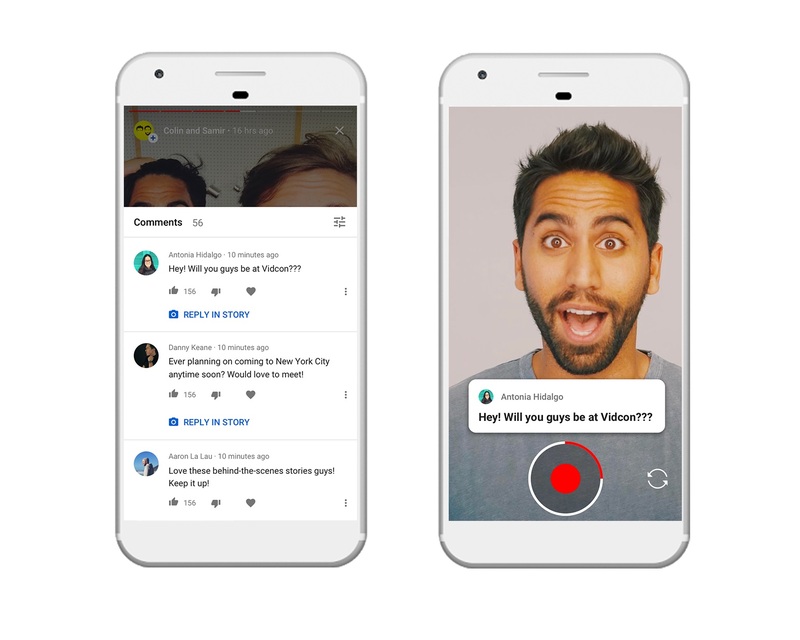 Initially, YouTube announced their strategy for Stories in November 2017 to enhance community engagement between the creators and viewers. According to the video-streaming platform, creators can also use this feature to show behind-the-scenes video and upcoming collaborations to market their channels. Video creators can read more about this new YouTube story feature on Google support page. After testing the feature with a few channels early this year, the Stories are now rapidly rolling out for others as well. In fact, many mobile users are experiencing the change and giving mixed reactions on Reddit by complaining about the new feature and asking the video-sharing platform to fix the ongoing issues with their platform such as advertising concerns and demonetization problems before bringing out new updates. One user even called the latest feature a “copy” and comments that YouTube should stop following other social media platform and focus on their own reach. Even expert creators like Flp DeFranco are skeptical about the changes YouTube is bringing and are voicing their concerns about Stories on Twitter. Looks like we will have to wait and watch where the Stories fate leads it. For now, those who are interested and are eligible for Stories can create their own by logging in to their YouTube mobile app, tapping the camera icon and going to the “Create Story” option. Read Next: 50% of YouTube viewers use it to learn new things.